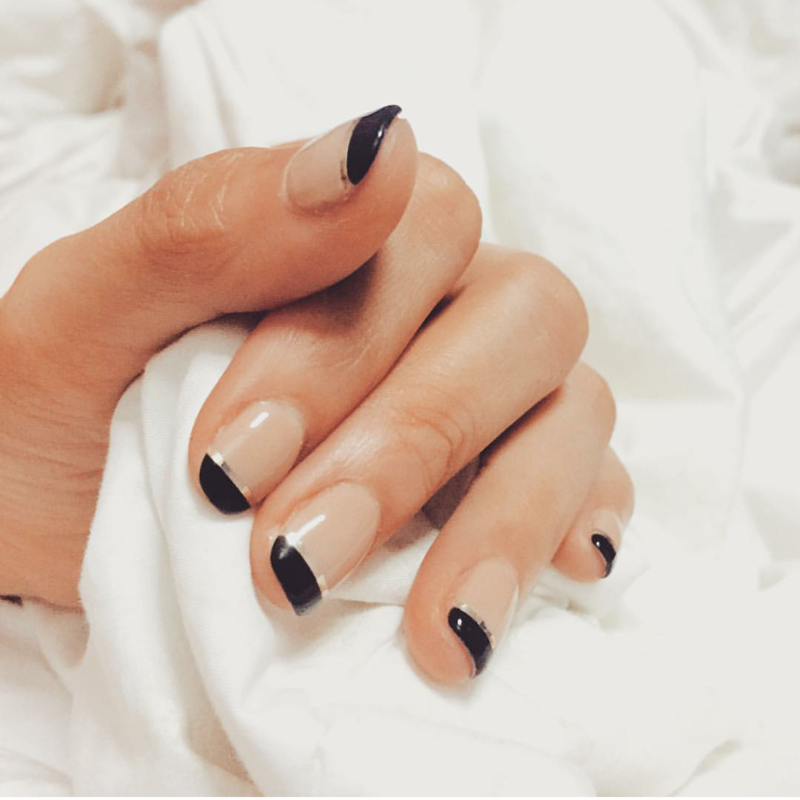 French manicures are a timeless work of nail art. 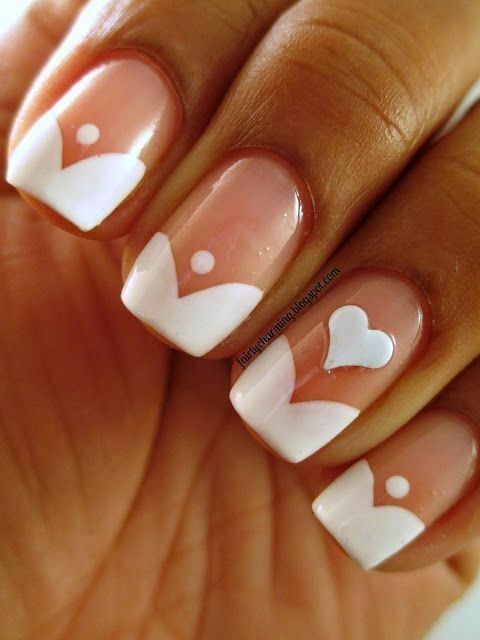 The traditional white tipped design remains a favorite among women. Modern art and techniques have made for the design to change over time to match the current trends. 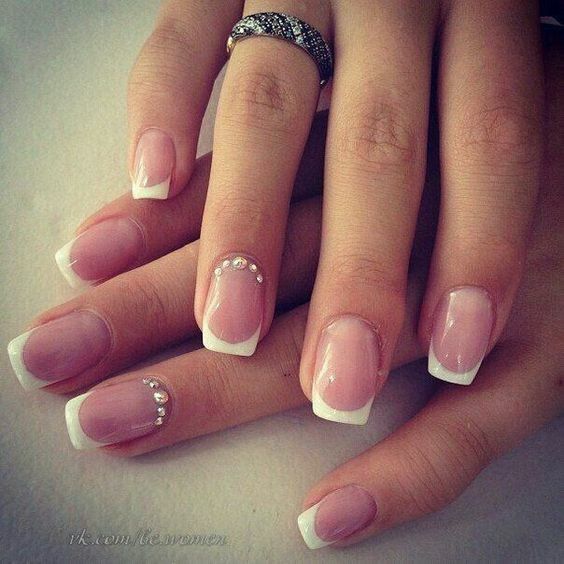 A French manicure is just the start of a truly unique nail. Every woman can take the idea and transform it to fit her own personality. For any large event, the design can be matched to your outfit, it doesn’t have to stay simple. 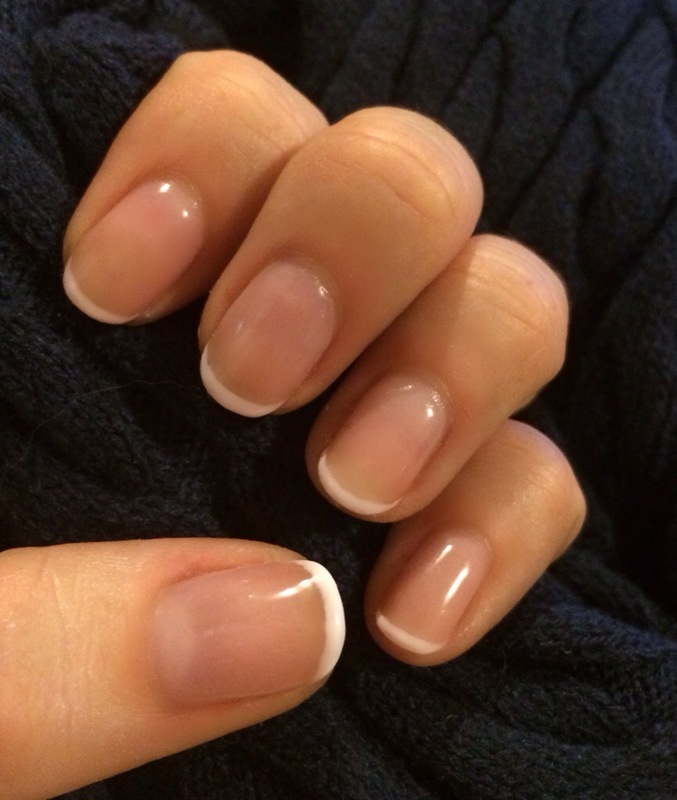 Women who love simple will find a French manicure is just the thing. For those who like more intricate designs, you are covered too. With so many ways to do the design, you are sure to find a favorite to suit you. 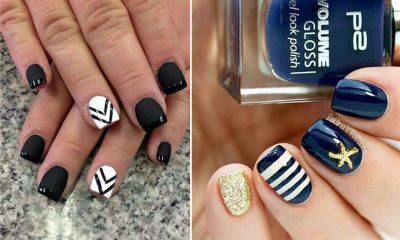 The hottest tips of the season are here, and we have pulled them together to get your nails ready for anything you might have in mind. Stick with the traditional, and add a modern twist with an ombre technique, or go bright with the design you want. One thing is for certain. You are going to want to try at least one of these designs. 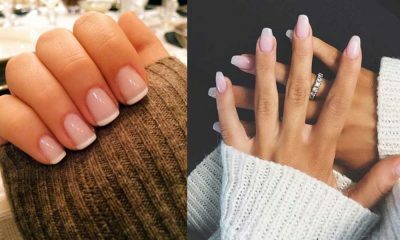 You might even want to try them all out, also here are some tips on how to achieve French tips at home. 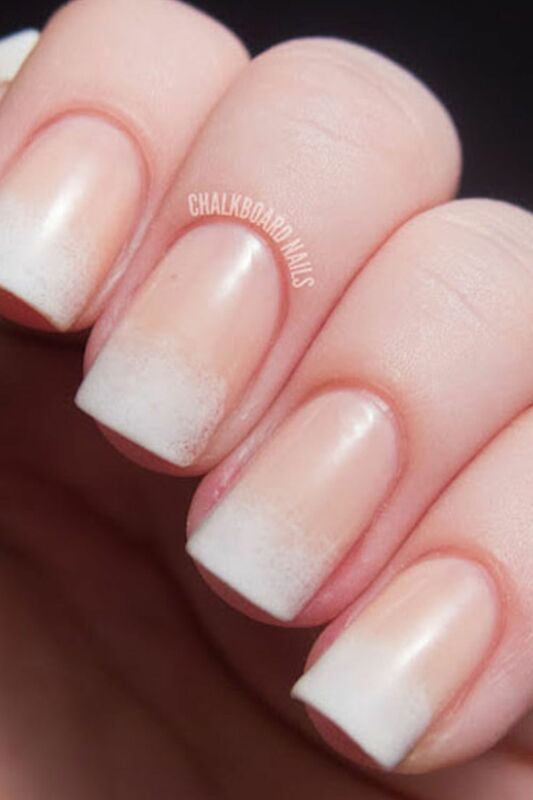 This French manicure is perfect for those who want just a little more than the classic style. A small design can really spruce up your look. The focus of this design is the heart, making it a great choice for a wedding or anniversary party. For a design that matches everything in your wardrobe, you can not go wrong with black and white. This simple color scheme keeps the base white to make for a bright and simple design. The lines give the look a little extra edge while not over doing it. Want to add a little extra shimmer to your life? This design is perfect. While not too fancy, it certainly would fit in at even the most elaborate of events. Diamonds may be a girl’s best friend, but glitter is probably a very close second. Perhaps you don’t want to stray too far from the classic look. You may just want a small something to make it unique. This design is perfect for you. A few rhinestones around the cuticle is far from dramatic, but definitely a design to be envied. Earthy tones are another classic. Pair these two classics together for an amazing design. Add in asymmetric lines to keep things balanced. 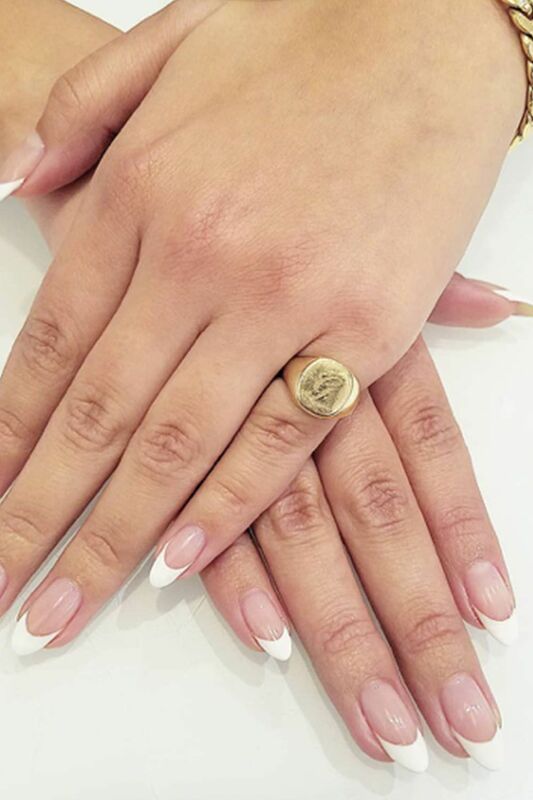 A shiny brass-tone polish will catch a glare just enough to make your nail design really stand out. 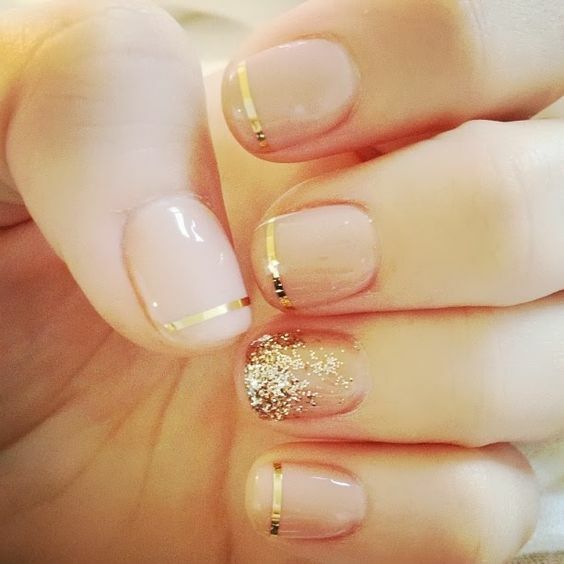 Accent nails can really turn a simple design into something fabulous. 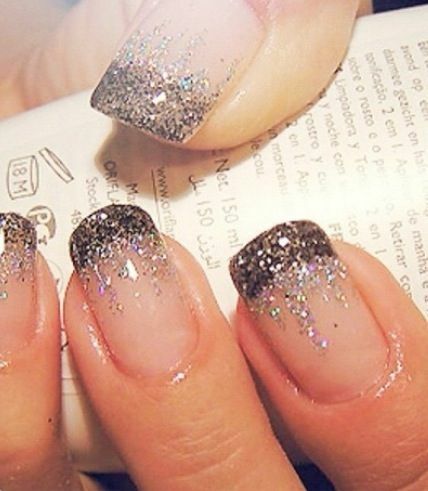 This design does just that with the matching glitter ombre nail. 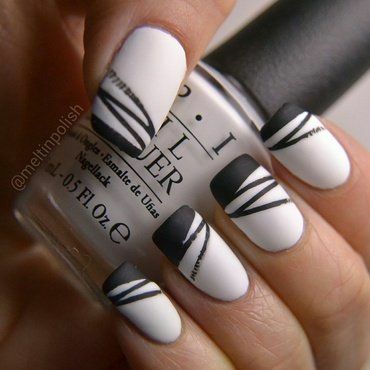 With some striping tape, you can easily do this design on your own nails right at home. A French manicure is not something that has to be done only one way. A fun way to make it your own is to use different colors to match your mood. This design Would be perfect for a sporting event if you use the colors of your favorite team. 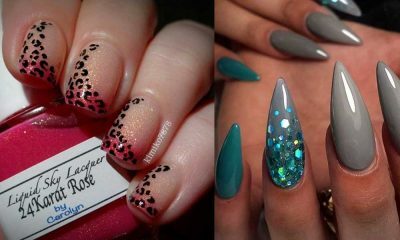 Stiletto nails are currently extremely trendy and for good reason. This shape is feminine and perfect for so many different design options. 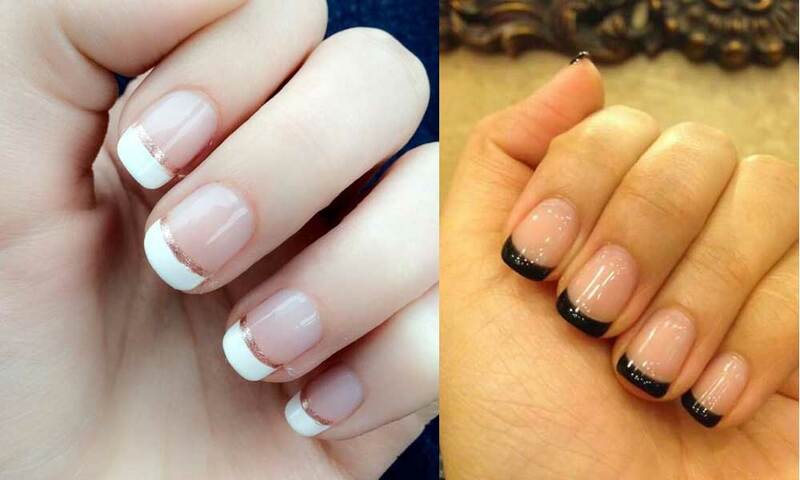 A French manicure is just one of them. 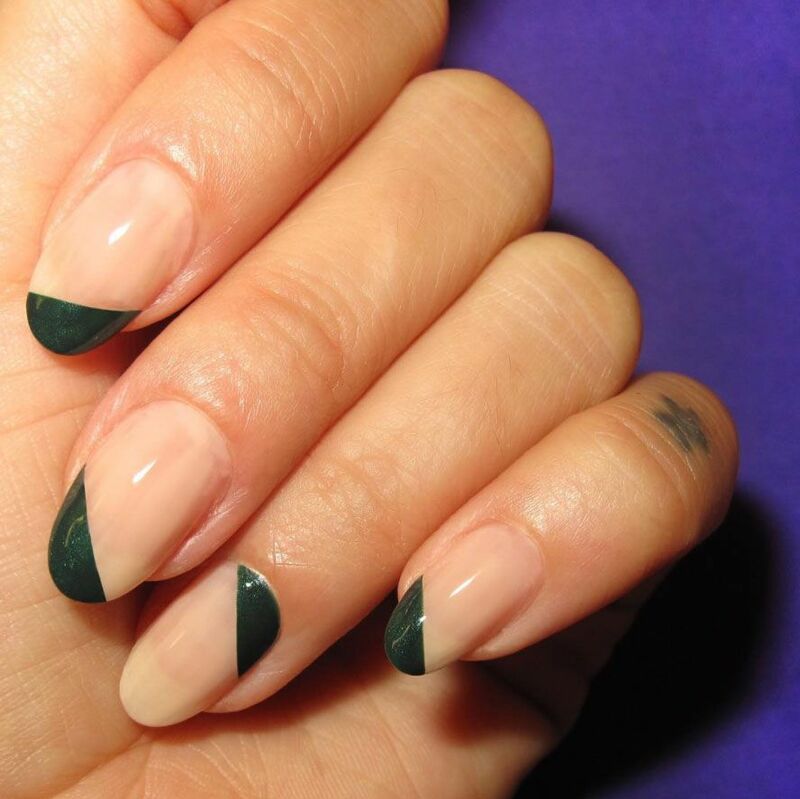 Add in accents like the one here for one of the hottest nail looks right now. Fake nails make for great manicures, but so do natural nails. 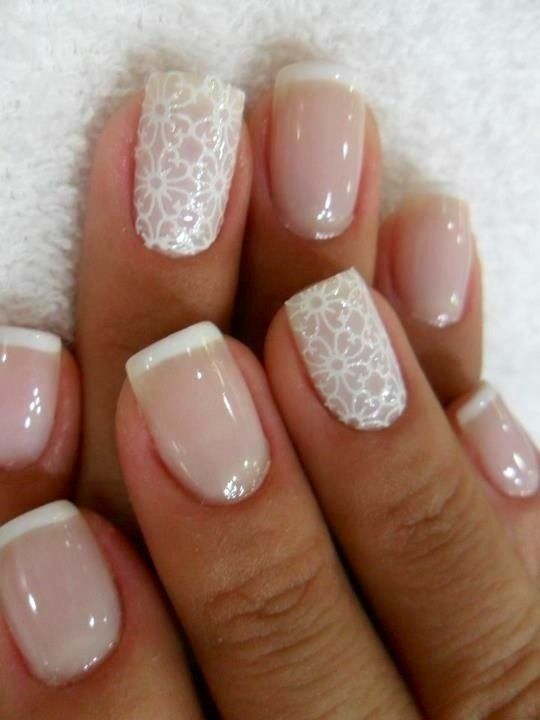 If you don’t want the hassle of fake nails, you can still enjoy the style. These polka dots make for a pretty design for short or long nails. 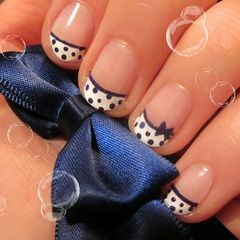 Another fun way to add polka dots to your nails is by skipping the line and using them to separate your colors. 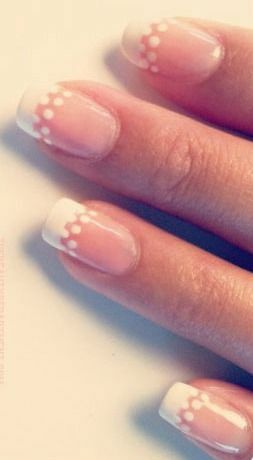 This design uses the classic style, adding dots to make a pretty and simple twist. 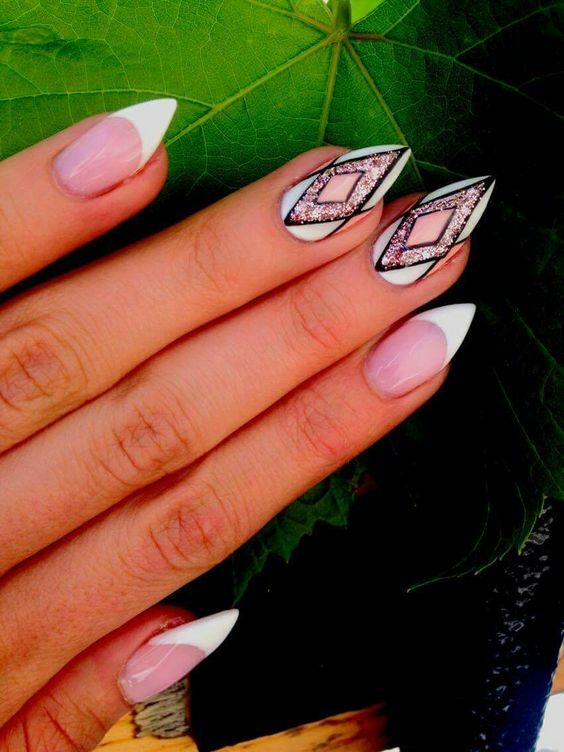 Designs with intricate designs really turn this classic style into a fun and unique manicure. This floral design is pretty and feminine. Though it could take a while to perfect at home, this fun design just might be the perfect look for you. Another intricate and feminine design is animal print tips. 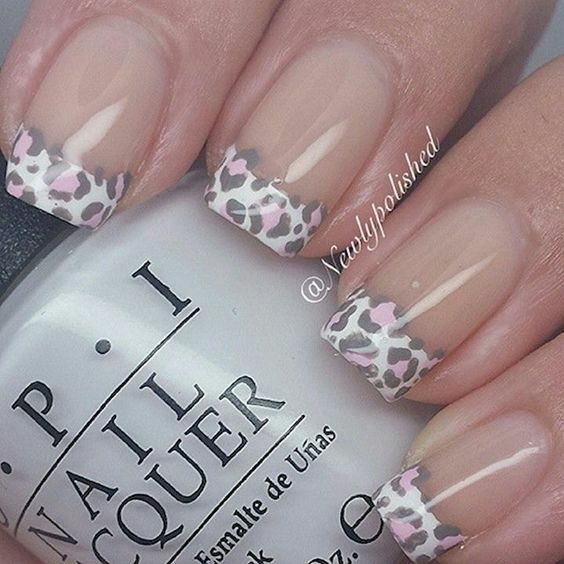 This nail art is perfect for your favorite style, be it leopard, zebra, or any other animal print you may love. You can go back to the basics with this look, while still keeping all things trendy in mind. 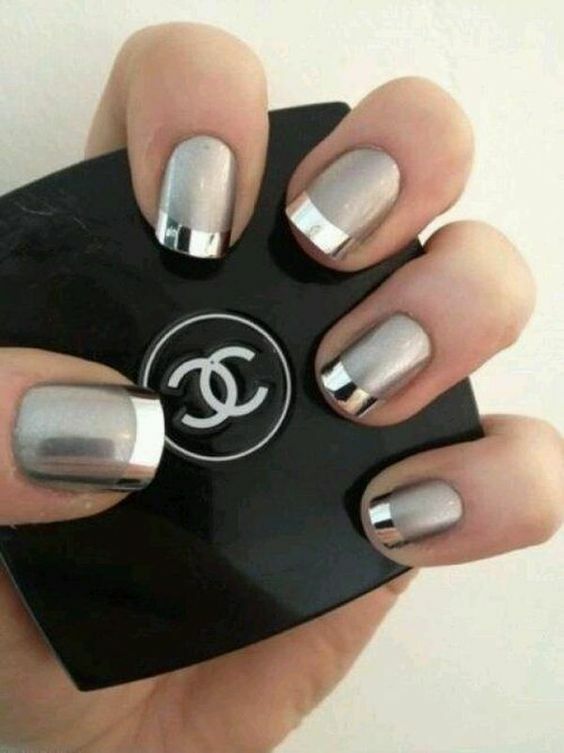 Metallic polish is hot right now and makes for a great tip choice. A neutral base works well with this design. If you are attending a wedding, part of the wedding party, or even the bride to be, this next design is a perfect one for you. 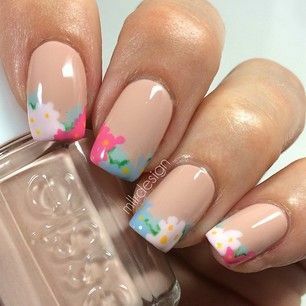 This simple manicure with a floral accent nail would even work for a school dance or just an everyday look.